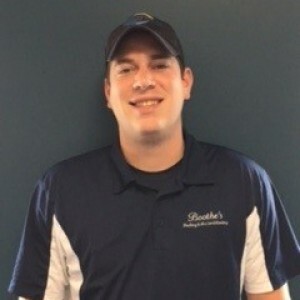 Bernie H has a 5-Star rating and leads the company in total reviews, making this pro a ReviewBuzz Rockstar! My hobbies include spending time with my family and friends, taking care of my horses, boating, hunting and fishing. My HVAC Strengths include Heat Pumps, Gas Furnaces, Communicating Equipment, and Oil Furnaces. I have been in the HVAC Career for 16 years. Bernie Hurt, the HVAC Service Technician that worked on our system was great. Throughout the entire evolution Bernie was courteous and professional. He would take the time to answer our questions and explain technical details in a way we understood. Never once coming in without first putting on his boot covers, and with the rain and mud we have had recently this was very important. We have dogs and Bernie was always aware of them, making sure the backyard gate was closed and secure and not allowing them to get into the basement. Thank you Bernie for a job well done. Very professional and thorough. Arrived when promised, answered all of my questions, and showed me exactly what was wrong (or good) with each of my systems. Also gave honest and knowledgeable suggestions for repair and documented all of it for me, and quickly contacted associates when necessary. Bernie H. provided outstanding service when diagnosing and repairing our AC unit. He was courteous, knowledgeable, and very clear throughout the entire process. He was able to quickly get our unit running again and also went out of his way to identify a potential future issue caused by previous work done by a different company. Great service and excellent quality of work. Bernie was my tech and did an unbelievable job of explaining what was wrong with system and showed me all the upfront prices before he did any work. He was very thorough with his check up and very honest about what needed to be done. I would highly recommend Boothe's to my friends and family that need any HVAC work done. 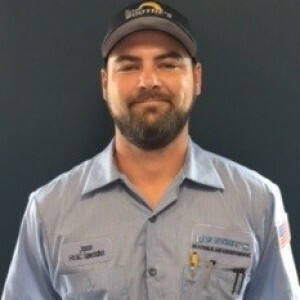 Service Technician Bernie H. was professional and courteous during his visit to assess and repair a downed HVAC system. He quickly identified the issue (which was a clogged drain tube), and took the extra time to implement long term corrective action in order to ensure that the issue would not recur. 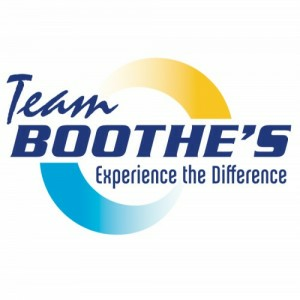 I highly recommend the Boothe's pros! Outstanding service from Boothe's and especially our assigned service tech Bernie. 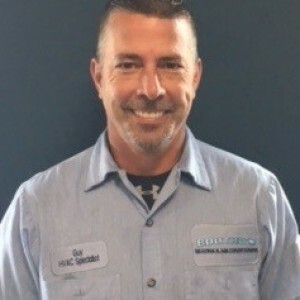 From the immediate beginning of the service, Bernie instilled confidence that we would have cool air pumping by the time he finished and to a T is exactly what happened! I cannot express enough how prompt and thorough he was with our problem. He gave us, the homeowner, complete control of the services performed and we really like that. Bernie was very professional, polite, understanding and explained all options . Bernie and his trainee were amazing! They were able to service and assess my system for me quickly and professionally. Super polite! He gave me my options and repairs were made the same day. I would recommend Boothe's to anyone wanting prompt professional service. I called Boothe's at 10:30 am on a Sunday and they had a technician, Bernie, at my house by 1:15. All of the costs were explained ahead of time and I was given options for emergency repair or standard hours. Bernie was super friendly and very thorough explaining all the potential costs ahead of time. He had my AC fixed within 15 minutes of arriving and after fixing my outdoor unit he inspected both my indoor and outdoor unit to make sure everything was working properly. Bernie responded to my home for an emergency after hours call for A/C malfunction. He was polite, professional, and knowledgeable during the entire service call. He made a thorough assessment of my entire system, quickly and correctly identified the problem, and provided repair options and education on the configuration of my system as well as regular maintenance practices. Overall satisfied with the service, and I will be using this company in the future. I have used several HVAC companies in the area and Boothes has blown them all away with their communication, professionalism, and knowledge. The technician, Bernie, who serviced my home was absolutely wonderful. He is the reason I have and will continue to use Boothes. His thoroughness and communication are top notch. Absolutely outstanding service. Bernie H was very knowledgeable. He explained all his inspection and repair steps in a detailed but understandable manner. He was very friendly and courteous. His work was efficient and he explained each step as he proceeded with the inspection and work. We will definitely use Boothe's again and specifically request Bernie as the technician. Bernie came out to do a courtesy inspection. He was much more detailed than I expected. After his inspection, he went over the results which were about what I expected. He was very patient with me in explaining the nature of the problems. He was also very honest in telling me that while I did not need a new system (immediately), I could see some benefit by getting a new system. He did not try to sell me a system but simply offered his experience based on my system being older. I decided to get a new system because of 1)the age of my current system) 2) the need for dependability 3) the variety of choices that Bernie said would be shared by the system installer. Bernie set up the installer visit with me before he left. All in all, a much less painful experience than I expected based on dealing with other HVAC companies in the past. We called for an issue with our A/C not working. 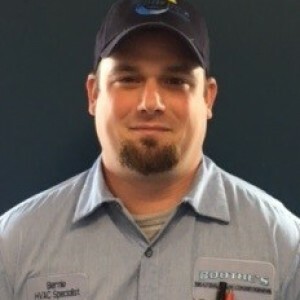 After some initial issues with getting an appointment scheduled, Boothe's was able to get a technician, Bernie H., out to us the next day. While going through the evaluation of the unit, Bernie found that it was an issue with the thermostat that we have from another vendor. The problem was the thermostat was incorrectly switching over to Emergency heat when the thermostat was set to Cool. Bernie even spoke with the vendor, on my behalf, to make them aware of what the issue was. Even after determining that the issue was with the thermostat and not the A/C unit, Bernie still went through the rest of the unit evaluation. He was extremely professional and accommodating. I appreciate that Boothe's was able to work with us and fit us in to their schedule. Bernie was very courteous and explained everything that was happening to the system. Excellent worker making sure everything was correct and fixed the problem quickly. Bernie went above and beyond to explain what the issues were. He made us feel confident in his ability to diagnosis our equipment. He made us,feel like we were old friends and that he he honestly cared about helping us.